The series of inaugurations of Latin American presidents continues with Venezuelan President Hugo Chavez starting his new six-year term on Wednesday. He swept into power in last month's elections. 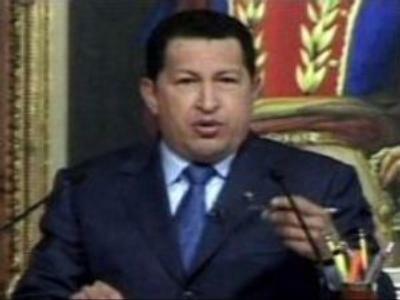 Mr Chavez promised that he would take a more radical turn towards socialism in his new term. And since his resounding victory on December 3, he has already shown that these were not just empty words. Swearing in his cabinet two days ago, Hugo Chavez ordered the nationalisation of the country’s electrical and telecommunications companies, and called on the National Assembly to give him power to rule by decree. He also announced plans to eliminate the autonomy of the Central Bank and replace his Vice-President, who was regarded as a key figure in his previous administration. Meanwhile preparations are underway in Nicaragua's capital for the inauguration of the new President, Daniel Ortega. The swearing-in ceremony will see Ortega sworn back into power after 17 years out of office. A Russian delegation is in Managua to attend the event.